Darren Green cares about local business and community. He started The Old Wood Co. in Asheville, North Carolina after seeing firsthand how the Asian import market demolished the furnishings sector and the local communities that had been built on domestic manufacturing. But with a recently renewed public support for Made-in-the-USA goods, Darren is determined to help revive his craft. 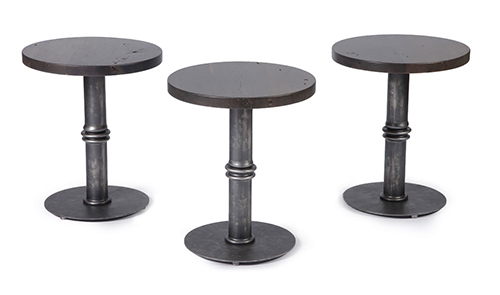 He's dedicated to making furnishings with local, high quality materials- like these Life counter stools, made of American chestnut and natural steel. Darren cares deeply about his community, so therefore he cares deeply about the environment. He utilizes reclaimed lumber and recycled steel- plus he has a paperless accounting system and donates all his sawdust to local farms. That by itself, is a good enough reason to support his efforts- yet his work is so impressive and beautifully done, you can't help but be a big fan. 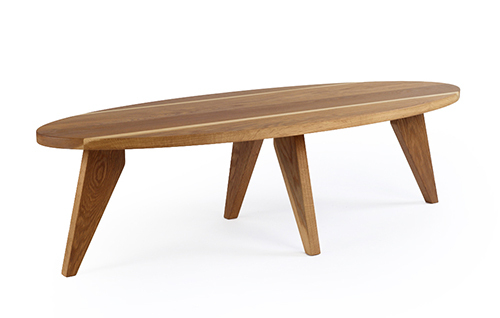 Darren's collection includes all manner of tables, stools and consoles. 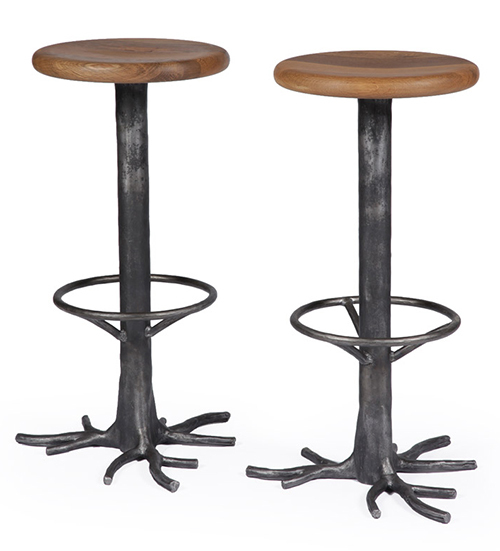 I particularly like this Iron Scissor side table, also made in American chestnut and natural steel.